Crimean-Congo Hemorrhagic Fever commonly known as Congo Fever which is caused by Congo Virus, a viral disease characterized by hemorrhage (bleeding) & fever. 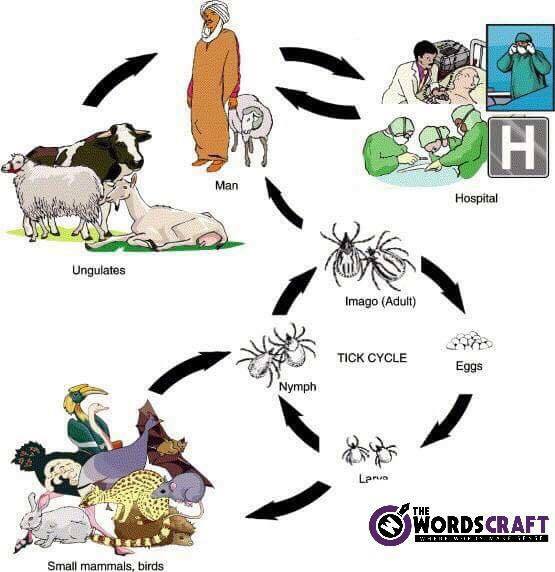 This is another deadly viral disease which causes hemorrhagic fever is carried by several domestic as well as wild animals & can be transmitted from animals to humans, as ticks are widely found on the animal skin. Since Eid-ul-Adha is near & the possibility of Congo Fever cases is likely to increase. It is important that we create some basic awareness regarding it, through our writings. CCHF is present in Africa, Balkans, Middle East & Asian countries. It is now spreading in Pakistan as well. CCHF is a widespread disease caused by a tick-borne virus Nairovirus. The CCHF virus causes severe viral hemorrhagic fever outbreaks, with a case fatality rate of 10–40%. The hosts of the CCHF virus include a wide range of wild & domestic animals such as cattle, sheep & goats. Many birds are resistant to infection, but ostriches are susceptible & may show a high prevalence of infection in endemic areas, where they have been at the origin of human cases. There is no apparent disease in these animals. Animals become infected by the bite of infected ticks & the virus remains in their bloodstream for about one week after infection, allowing the tick-animal-tick cycle to continue when another tick bites. Although a number of tick genera are capable of becoming infected with CCHF virus, ticks of the genus Hyalomma are the principal vector. The CCHF virus is transmitted to people either by tick bites or through contact with infected animal blood or tissues during & immediately after slaughter. The majority of cases have occurred in people involved in the livestock industry, such as agricultural workers, slaughterhouse workers & veterinarians. Human-to-human transmission can occur resulting from close contact with the blood, secretions, organs or other bodily fluids of infected persons. Hospital-acquired infections can also occur due to improper sterilization of medical equipment, reuse of needles & contamination of medical supplies. 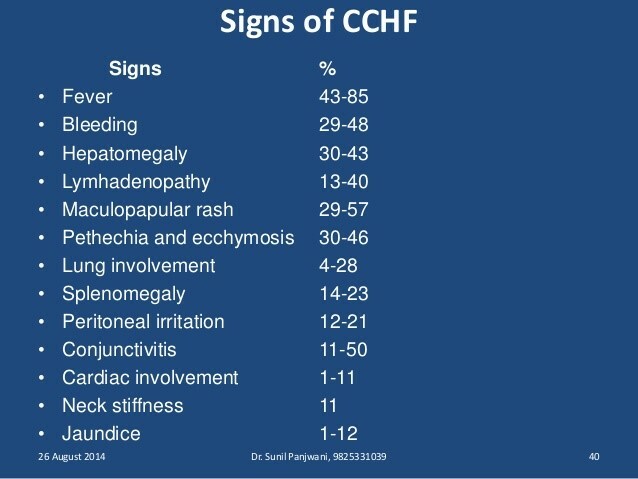 The treatment for CCHF is primarily supportive. Care should include careful attention to fluid balance & correction of electrolyte abnormalities, oxygenation & hemodynamic support & appropriate treatment of secondary infections. The virus is sensitive in vitro to the antiviral drug ribavirin. It has been used in the treatment of CCHF patients reportedly with some benefit. As there is yet no vaccine available so the only way to reduce infection in people is by raising awareness of the risk factors & educating people about the measures they can take to reduce exposure to the virus. Wear protective clothing (long sleeves, long trousers). Wear light colored clothing to allow easy detection of ticks on the clothes. Use approved chemicals intended to kill ticks on clothing. Cover your face (mouth, mose, ears) while coming in contact with animals. Use approved repellent on the skin and clothing. 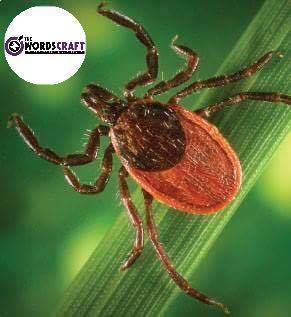 Regularly examine clothing and skin for ticks; if found, remove them safely. Seek to eliminate or control tick infestations on animals or in stables & barns. Avoid areas where ticks are abundant and seasons when they are most active. Reducing the risk of animal-to-human transmission. Wear gloves and other protective clothing while handling animals or their tissues in endemic areas, notably during slaughtering, butchering & culling procedures in slaughterhouses or at home. Quarantine animals before they enter slaughterhouses or routinely treat animals with pesticides two weeks prior to slaughter. Avoid close physical contact with CCHF infected people. Wear gloves & protective equipment when taking care of ill people. Wash hands after caring for or visiting ill people. It should be noted that even the infected animals might look healthy. But since we know that CCHF is spreading around, we all should be careful & take all the preventive measures to stay safe during this Eid. And in case anyone feels the above mentioned signs & symptoms, should contact a doctor immediately. Stay safe & updated this Eid!